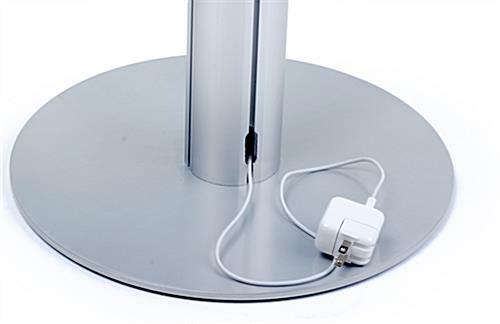 Supports Apple® 2, 3, 4, & Air Gen. 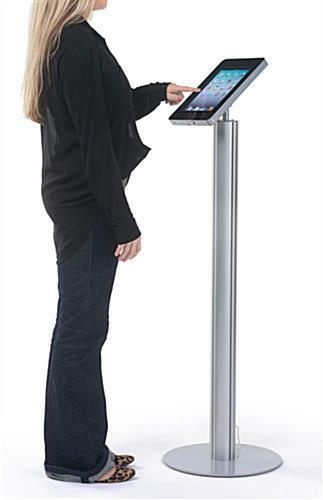 This iPad tablet display that is a touchscreen enclosure features a tall post that sinks into a stable, circular base. 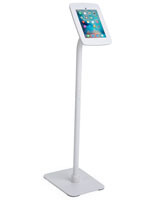 This commercial grade touchscreen holder, also known as a floor stand, is perfect for hotels, cafes, restaurants, and other sevice and retail establishment. 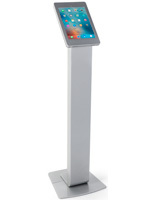 This tablet display, such as a point of sale floor stand, has a modern chrome finish. 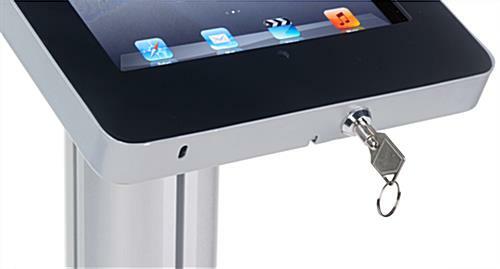 Interactive technology solutions like this one keep data secure by covering the "Home" button so customers have access to merchandise, but not confidential company data. 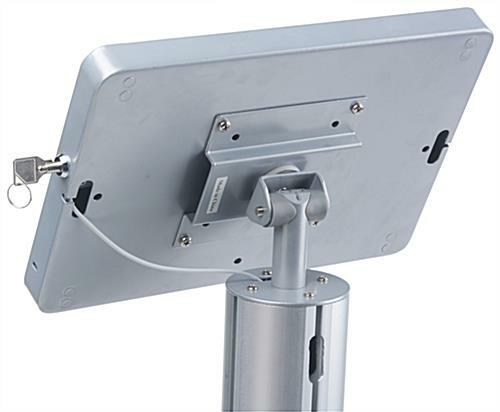 Buy these user-friendly enclosures to reinforce brand and boost sales on goods and services. 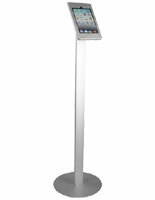 This display features in-post cable management to keep the presentation organized and professional. 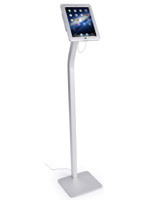 Note to User: This unit is designed for Apple® 2nd, 3rd, 4th & Air generation iPads, and is not guaranteed to fit other touchscreen devices. Also note that the "Home" button in this enclosure is covered.